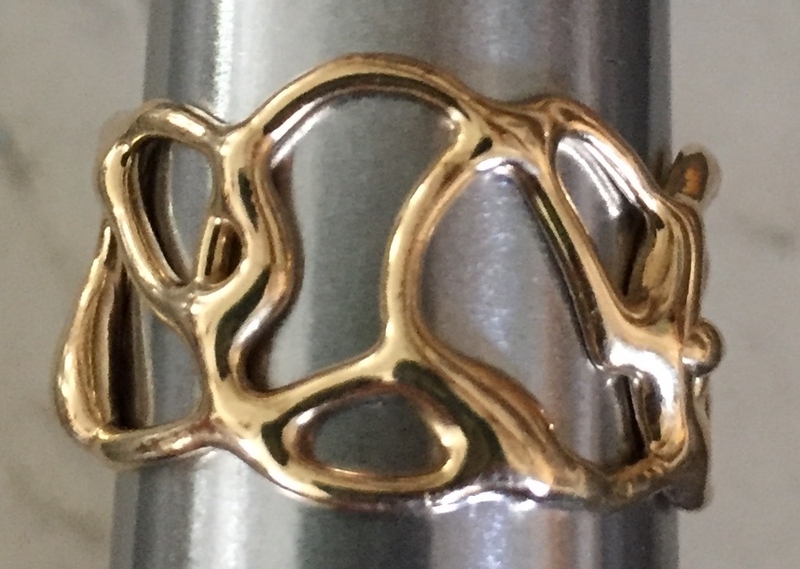 This ring speaks for itself…just beautiful on and very comfortable! 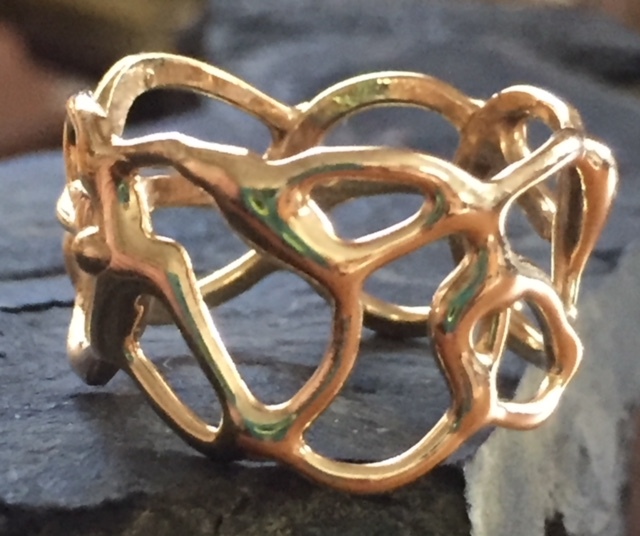 Created using the lost Wax Casting Process in 14k gold this ring is very durable for everyday wear. 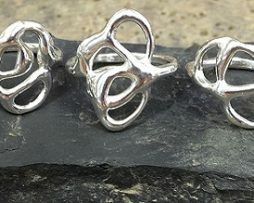 They are individually created in wax, therefore, each ring is not going to be an exact match to the ring shown but the design is consistent. 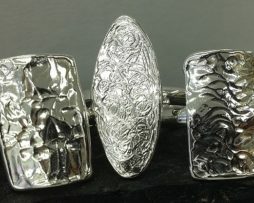 I am able to re-purpose any loose stones, or reset stones into the negative spaces on this ring. This would be a custom order and feel free to email me with any questions. 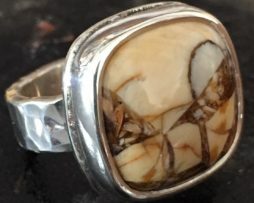 The only restrictions to this are: no white gold, no stones less than a 9 on the Mohs’ hardness scale (diamonds and sapphires are the best) and the stones will be Bezel set and not prong set.